I have seen allot of questions in the forums and news groups if SCE can deploy scripts – and the answer is Yes. The last week, me and my Ty from the SCE products team has done some tests. 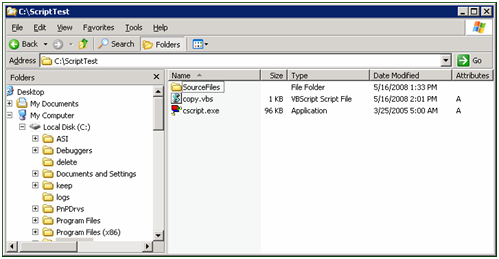 Here is a sample where we have a vbs script that copy files. 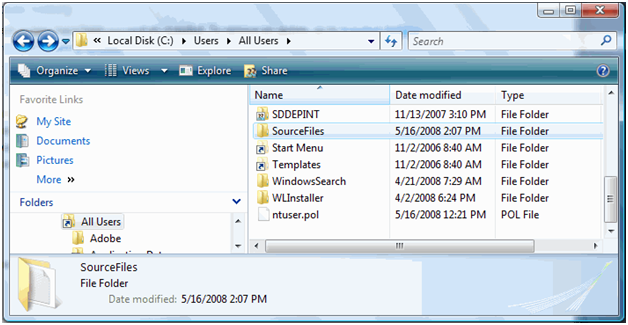 When the package is deployed, the Windows Update Agent will call into Cscript.exe, and that program will reference the script which is located in the same working directory. Your end users will see a “flash” of a CMD window briefly while the script is executing. If your script requires to be in the user context, it is important to mark “requires input from the user during installation”. 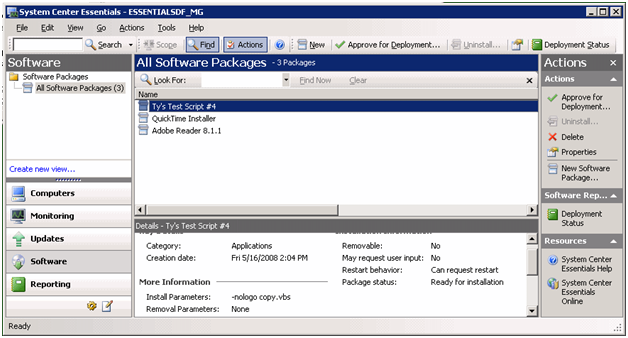 This flag will prevent execution in the above installation actions.